Digitization can expand the reach of Companies, enhance management choices and speed up the development of new products and services. In the meantime, the unreasonably fast selection of innovations can upset traditional plans of action. Organizations need to painstakingly tread the way towards digital transformation with a solid system to tackle its qualities and moderate its difficulties. 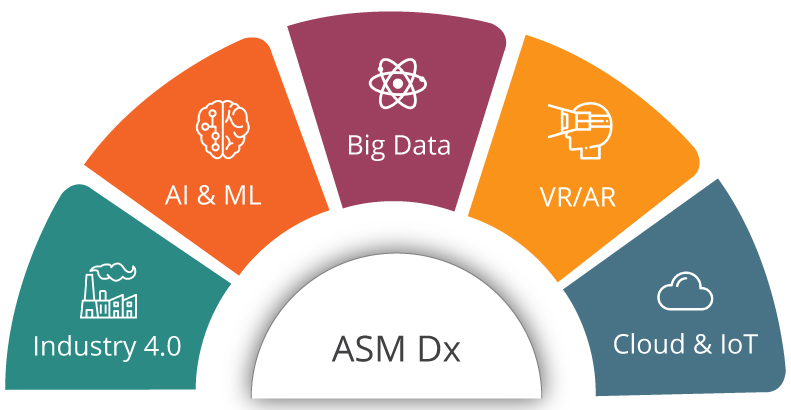 ASM hands-on with 360 Virtual Reality Applications (Mobile And Web) – building VR applications to give customer a 360 degree panoramic experience of their products, using VR.